SKU: MS03. Categories: Coin Mechanisms, Microswitches. 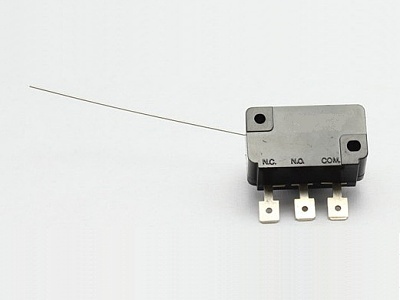 These microswitches are designed for use with most non-electronic Coin Mechanisms. They have a 7cm long wire lever that can be bent at whatever angle you require and have a very light action so they “click” easily.